In October 1991 a delegation from Portugal was scheduled to come on a fact-finding mission to East Timor. 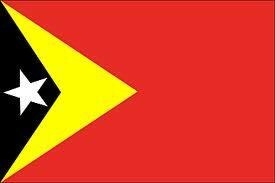 However, the killing of two East Timorese political activists delayed the arrival of the Portuguese group. On the 12th of November a Mass was organized for Sebastio Gomes Rangel, one of the assassinated men. After the mass the attendees moved in a procession to the Santa Cruz cemetary. Apparently some members of the procession were carrying pro-independence flags and banners. Once at the cemetary, the mourners were fired on by the Indonesian security forces. There was no warning or provocation, and the soldiers fired indiscriminately. Eye-witnesses estimate that about 100 people were killed, a huge difference from the "official" estimate of 19. Despite widespread international condemnation and an internal Indonesian inquiry, the official line is still that the troops were responding to chaos and riot. Charges and penalties against the members of the Indonesian forces were much lighter than those given to East Timorese civilians. Done to make the oil flow. The mass is ended - go with grace. Of states and allies' weakened wills. Human rights - a pious cant? Or Justice slips, and finally falls.